I may eat my words, as I thought I might, when I said Krysten Ritter was miscast as Netflix's lead in 'Jessica Jones.' The word coming out of the screening of the first episode at the New York Comic Con is that not only does Ritter nail the ex-heroine turned detective but she and Mike Colter (Luke Cage) have incredible chemistry. It's being described as darker than 'Daredevil', mature, adult-themed and thoroughly compelling. I didn't see Ritter as the complex, damaged and badass Jones but those misconceptions were proven wrong with the influx of spoiler-free reviews from attendees who saw the first episode. If you think #Daredevil's dark, wait 'til you see #JessicaJones. Some moments left me breathless. Very different, and yet just as brilliant. This is just a small sampling but consistent with the majority of impressions found online. David Tennant was barely seen but what was seen was reportedly chilling. The show addresses sexuality in a mature way unseen in any Marvel production thus far. Introducing gay and bi-sexual characters in a significant way for the first time while also treating PTSD seriously, 'Jessica Jones' is poised to be a ground-breaking show for Marvel and comic book adaptations in general. Get the free 'Jessica Jones' prequel by creators Brian Michael Bendis and Michael Gaydos available on Comixology. The 12-page one-shot resides in the Marvel TV universe with an appearance by Daredevil. 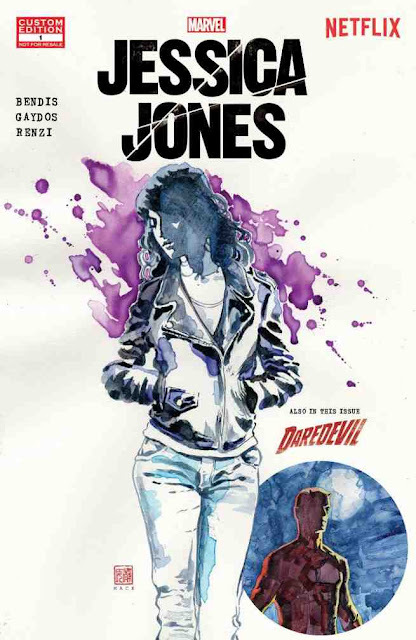 You should also probably pick up the trade paperback of 'Jessica Jones: Alias' as the show will pull heavily from the source material. Explicit content included. 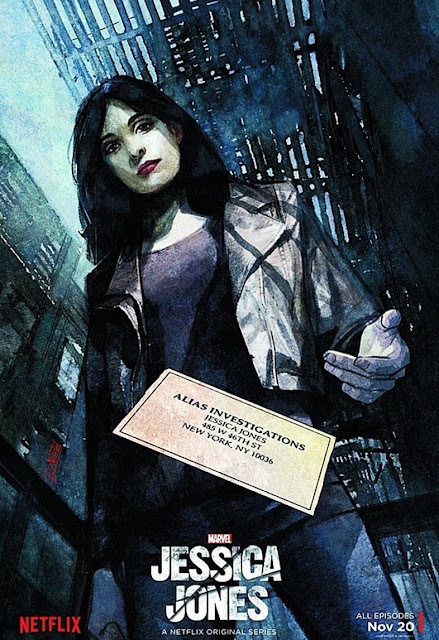 The 13-episode Jessica Jones series will premiere on Netflix in its entirety on Nov., 20, 2015.